The dimensions are 642mm x 970mm x 188mm. This fire uses a mini bioethanol burner which has a fuel capacity of 1 litre and burns 1 litre every 4 hours. The heat output for this fire is 1.9KW per hour. 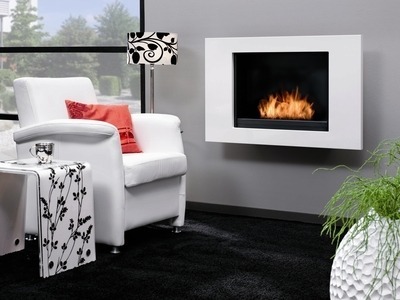 The Bio Flame Goya offers a striking alternative when no chimney or gas connection is available. 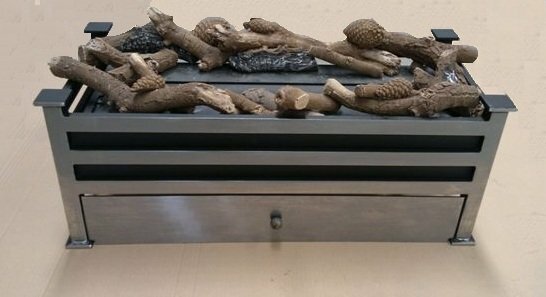 We recommend the 8 piece Goya logset for this fire.